Ya Jagoff!!! | Compact Car Parking? Home Parking Jagoffs Compact Car Parking? The scene: UPMC Mercy Hospital parking garage. The scenario: Visiting a friend. The sitch (how the younger peeps refer to situation): Someone who seems to be driving and 2015 SMH version pickup (Small Manhood pickup) seems to thing they own a compact truck. Is this not the epitome of ignorance? Knowing full-well that the sign says compact car only and parking this huge ##$&! truck right at the sign. Hey SMH dude… the reason that spot is designated for shorter vehicles is so that, when other vehicles come around the parking lot ramp, they don’t smack into the car on the edge. But nope! you decided that your 2015 SMH pickup had to go riiiiiiiight THERE because you didn’t want to look any further for a suitable parking spot for your SMH pickup. You know what would have made this more fun? If you had pulled your SMH pickup in nose first and had 10-12, 16-foot 2×4’s hanging out of the tailgate. Then again.. maybe you’re driving one of those transformer trucks and, when you forgot to press the button that shrinks your SMH version pickup down to the size if a clown car! 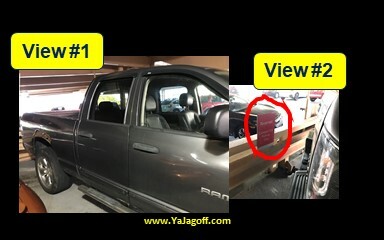 You might wanna try it.. maybe, when your SMH pickup shrinks, other things grow to a respectable size… YaJagoff!